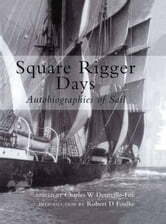 There are few books that describe accurately life on board sailing ships in the last days of sail, from the 1860s to the First World War; the romantic image conjured up by many who wrote from a safe distance belies the harsh realities which were a sailorman's lot. 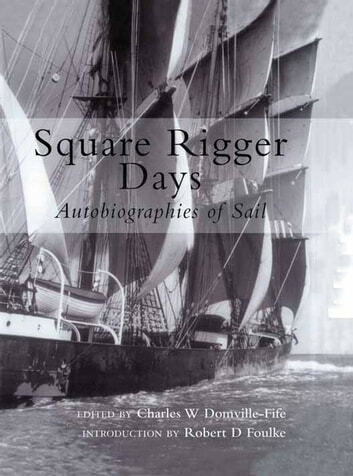 Domville-Fife, in collecting together the personal stories of seamen while they were still alive, was able to present a truer picture of the tough last days of sail. Long voyages on board nineteenth-century sailing ships were marked by isolation, boredom, and miserable living conditions that taxed the endurance of men already hard pressed by the gruelling and dangerous nature of shipboard work. While some were attracted to a life of adventure most simply went to sea for a living, and a meagre one at that. They experienced neither the excitement of life on the crack clippers of the earlier decades nor the safety of the steamships; they were caught in the limbo of a dying profession where poor pay, discontinuous employment, prolonged isolation from family and physical hardship were the norm. No wonder that murder, mutiny, starvation and shipwreck appear in the memoirs gathered here. Domville-Fife surely did future generations a great service by piecing together this reality. First published in 1938, these memoirs are now available again in this superbly presented new edition with a new selection of stunning photographs and a fascinating introduction on life at sea in the dying world of sail. A wonderful read for all enthusiasts and historians of the merchant service in the days of sail. Lt. Commander Showell Styles F.R.G.S.